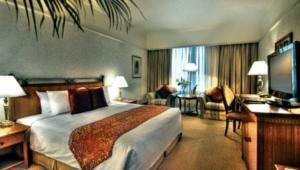 Dorsett Regency Hotel Kuala Lumpur is a 5-minute walk from Pavilion and KL Convention Centre. It offers an outdoor pool, 3 dining options and spacious rooms with 32-inch flat-screen TV. Modern rooms at Dorsett Regency Hotel are equipped with air conditioning, a minibar and tea/coffee maker. Ironing facilities and a 24-hour room service are provided. Fax machine is available upon request. Guests can exercise at the fitness center, or make travel arrangements at the hotel’s tour desk. A gift shop and business center are provided. Hotel Dorsett Regency’s Cellini Restaurant serves Italian food. All-day dining is available at Checkers Café. Local dishes are served at The Windows Lounge & Sidewalk Café, which also features live entertainment. Located along Bintang Walk, Dorsett Regency Hotel Kuala Lumpur is a 10-minute walk from Berjaya Times Square and Sungei Wang Plaza. 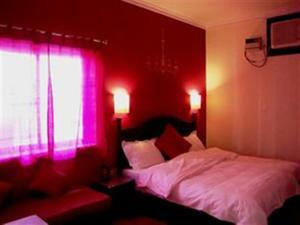 The hotel is a 50-minute drive from Kuala Lumpur International Airport. Wi-Fi is available in the hotel rooms and costs MYR 30 per 24 hours. Free! Up to two further children under 12 years stay free of charge when using existing beds. Free! One further child under 2 years stays free of charge in a baby beds. One further older child or adult is charged MYR 104.40 per person per night in an extra bed. The maximum number of extra beds/baby beds in a room is 1. Any type of extra bed or crib is upon request and needs to be confirmed by management. Supplements are not calculated automatically in the total costs and will have to be paid for separately when checking out.